The conqueror will always say “Yes!” and, for support, misappropriate passages like the one set for today (Deuteronomy 18:9-14). There is a big difference, however, between the cultural and historical context of nation-forging from a horde of liberated Hebrew slaves preserving their fragile identity and colonial expansionism. It is ironic that such a text emerges on a contentious day that Australia commemorates and celebrates the day the Union Jack was planted on the beach at Botany Bay (oops! Sydney Cove, actually) signalling the commencement of Britain’s new penal settlement. The overseers and convicts arriving on the First Fleet possibly did not see themselves as conquerors – neither did the unrecognised original inhabitants and stewards of the land. The language, attitudes and conflicts of conquest emerged as the needs of the settlement and its economy grew. Back to Deuteronomy, the need to protect Hebrew identity and possession of land. Here also is a seed of wisdom for multicultural co-existence. The burden of the text is that the Hebrews do not adopt practices that are alien to their identity. The Deuteronomic code continues at length to describe the duty of hospitality and receptivity to those who are “other.” Multiculturalism is not about “making us like them” or “assimilating” the other to be like us. We are to be as comfortable and as confident in our own skin to know that our identity is uniquely formed. From such a base, there is no need for anxiety or defensiveness when faced with the other. We can move beyond tolerance to receptivity, differences and all. 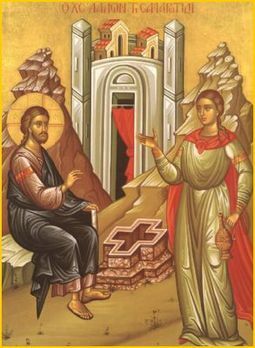 St Photine , as the ancient church has named her, continues to guide this part of our Lenten journey. Yesterday I was invited to conduct a house blessing on a women’s and children’s shelter. 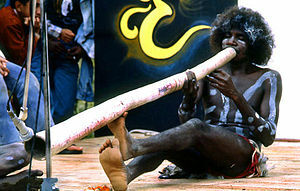 It was a multicultural context and included a smoking ceremony conducted by a Noongar elder (a smoking ceremony involves using the smoke from smouldering indigenous plants to ward off harmful spirits). Rather than conduct Christian prayers in isolation from the welcome and cleansing rites of our ancient aboriginal culture, we consulted to see whether our rites could be enacted in a visible and explicit complimentary manner. And so we did, teaching and explaining as we went. As each area was cleansed with the smoking ceremony, so Christian prayers invoked the comfort and protection of the One who creates and recreates, Father, Son and Holy Spirit. 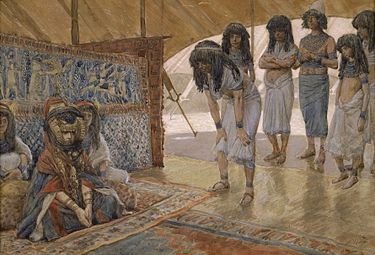 “…the hour is coming, and is now here, when the true worshippers will worship the Father in spirit and truth…“, said Jesus to Photine, who was grappling with cultural differences about how Jews and Samaritans approached worship rites. I think those who were gathered there entered such an experience. Not on this mountain or that – but in spirit and truth. Sorry Day commemorations in Wellington Square, Perth, were significant but low key this morning. The usual annual crowd of 3000, comprising school children and business folk, is not as accessible on a chilly Saturday morning. Even so, about 100 folk gathered at the Sorry Pole listened to speeches from Sorry Day leaders, Noongar Elder Ben Taylor, and WA Govermor Malcom McCusker. Traditional dance and a cleansing smoking ceremony accompanied the planting of the “sea of hands” by all present. Coffee and hot dogs completed the occasion. A letter in today’s paper asks, “Why keep saying sorry? Isn’t once enough?” It is important for our nation’s healing to keep remembering the Prime Minister’s apology to our indigenous people’s for the harmful policies that all but destroyed them as a culture and a people. Many still live with the legacy of the disintegration of family and identity, revealed in over-representation in prisons, poor health and reduced educational opportunities. To say sorry is not to keep on begging forgiveness, but to express the desire to work together in building adequate redress. Saying sorry moves beyond self indulgence in regret and remorse to the frank acknowledgement that things are not good and we want to act to make them better. “Sorry” is what grammaticians might describe as a “past continuous” concept – the action begins at a point in history and continues on. It does not rest until redress is complete, and there are 50 plus recommendations from the Sir Ronald Wilson “Bringing Them Home” report to parliament that are yet to be implemented. Sorry – can never hear the “peacemakers” beatitude quite the same again after Monty Python. they shall hasten the coming of God’s new creation. In the context of peacemaking, “bearing the fruit of sympathy” might be the appropriate stance. A peacemaker serves best when, assessing the whole picture, is able to bring all parties to the negotiating table. An effective arbitrator needs to be one step removed in order to create the space where reconciliation can be restored. It would not be possible to exhibit empathy for either or both parties without projection or transference/counter-transference issues muddying the waters. The translation from Aramaic seems to bring greater clarity to the peacemaker’s role. Please find attached a joint statement to the people of Australia on constitutional recognition of Aboriginal and Torres Strait Islander peoples from the Australian Reconciliation Network. On the fourth anniversary of the National Apology to the Stolen Generations, the Australian Reconciliation Network encourages all Australians to consider carefully the recommendations made by the Expert Panel on Constitutional Recognition of Aboriginal and Torres Strait Islander Peoples. We believe that recognising Aboriginal and Torres Strait Islander peoples in the Constitution is another positive step forward for our nation. The Panel has produced an excellent report that shows viable options exist to achieve this goal. Many Australians would be surprised to learn that our Constitution currently allows Governments to discriminate against any group on the basis of race. We believe this is out of touch with modern Australia and does not reflect who we are as a nation today. Historically it has been the Australian people who have lead the way towards reconciliation— overwhelmingly voting YES in the 1967 Referendum to count Aboriginal people in the census, walking across bridges in crowds of hundreds of thousands in a show of reconciliation, and turning out in droves to watch as Kevin Rudd made the formal Apology— unifying moments in our history that should not be forgotten. Recognising Aboriginal and Torres Strait Islander peoples in the Constitution continues the unfinished business of the recommendations made by the Council for Aboriginal Reconciliation in 2000. Extensive community consultations and polling that informed the Panel’s report suggest that changes are worthy and capable of support for a referendum. We have before us a tremendous opportunity to define our nation’s story and take another step towards a reconciled nation. We share a vision for an Australia which recognises and is proud of our unique Aboriginal and Torres Strait Islander heritage, and celebrates the diversity which makes our nation great. We therefore encourage all Australians to consider carefully the Panel’s proposals to amend the Constitution. 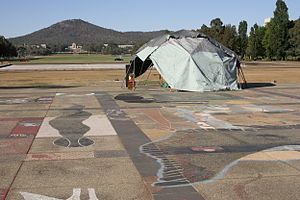 I visited the Aboriginal Tent Embassy in Canberra in 1982 – its presence was about ten years old then, and it was generating considerable angst in the orderly scene that is public service Canberra. My errand was to return an address/appointment book I had picked up in the street. It belonged to one of the key embassy activists. I considered, given the sensitive nature of the contents, that I would deliver it to its owner myself rather than turn it in to “the authorities.” The public was not on side at this time; the tent was an embarrassment and should go. Thirty years later, the Aboriginal Tent Embassy pitched on the lawns of Old Parliament House has hit international headlines again. It’s not my desire to add commentary to this particular event, apart to point out that the incident illustrates the distance we still have to travel before this country can speak of being unified. Yet there remains enough positive energy from all parties to give it a go. Current anger and polarisation gives the appearance of sudden crisis. In reality, the crisis has existed for some time. Genuine and intelligent efforts continue to strive against all sorts of odds to address it. These efforts will not be diverted by the street theatre of yesterday, no matter who instigated it. The party of 22 diverse community leaders who have submitted the unanimous parliamentary report on changes to the Australian Constitution to acknowledge indigenous concerns remains promising. Today’s analysis: Long road to the Indigenous referendum – Eureka Street is both realistic and hopeful. On 26th January Australians will gather in capital cities and other regional centres around the country to celebrate Australia Day. The day will be marked with official ceremonies, parties and elaborate fireworks displays. The day will be a special occasion for many new Australians who will truly call Australia home by accepting the responsibilities that come with Australian Citizenship. So let’s reflect on what this day actually means. To call January 26th Australia Day is somewhat of a misnomer. 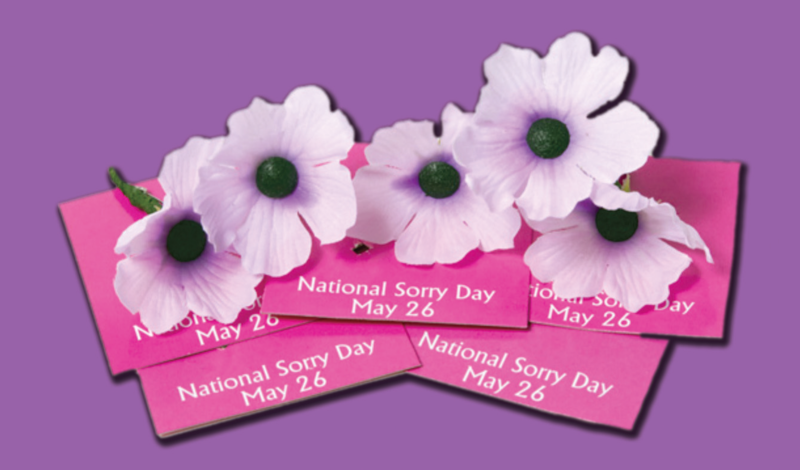 Ray Durbridge reminded us a few weeks ago that our real national day passes by largely unnoticed. 1st January 1901 is really when Australia came into being. Whilst many Australians party and celebrate the establishment of a British penal colony on the shores of Sydney Harbour on 26th January 1788, a substantial number of Australians remember the day with some sadness and find it offensive that such celebrations take place. It was on that day that the great southern land was taken away from a people who had lived here continuously for around 100,000 years. For them, the 26th January 1788 marks the day of invasion. There is a real sense in which we, as Australians, should be proud of our heritage and of the nation we have become – a nation which acknowledges the rights and privileges of all its citizens and one which, I feel , leads the world in expressing and respecting the rights and dignity of all people. We are a nation which honours and respects both the importance of the individual and the value of community, though I have been somewhat dismayed at recent debate concerning the coming of persecuted people to our shores, particularly those of non-Christian background. Many risk their lives to come here and that says a great deal about who we are as a nation. Our reputation is largely built on the perceived good life available to most. Sadly though, the original indigenous inhabitants of this land have not enjoyed the same fruits of prosperity. Historically, whilst the states came together in a spirit of goodwill and cooperation to form the nation of Australia, prior to Federation systematic occupation of an already occupied land saw much loss of indigenous life, culture and heritage, as well as the expanding colonies’ environmental impact. Events subsequent to Federation saw attempts to completely eradicate the ‘blacks’ through removal of children from their parents and the further taking of previously occupied land. The original inhabitants were considered to be non-people, only being given the rights of citizenship in 1967. 44 years later indigenous people still struggle for recognition, respect and opportunity to truly enjoy life as part of ‘one Australia’. So, for me, this is not a cause for celebration, but rather it should be the catalyst for further listening and reflection. Pride in the steps we have taken in recent times, particularly in the area of reconciliation, should be tempered with a liberal dose of humility, acknowledging the mistakes that have been made and recognising the difficulty of the road ahead but also recognising that the diverse indigenous culture is as rich a part of the common wealth of this nation as any resource. If we choose to listen, there is much we can learn. Respect for the indigenous people of this country has led me to not celebrate Australia Day and I would be happy to see it removed from the nation’s calendar. However, I am proud to be a member of a church having an on-going commitment to reconciliation and am encouraged by our desire to show respect for the First Australians through the implementation of a Reconciliation Action Plan. Approaching another Australia Day, let’s reflect on the great cost of our nationhood to our indigenous brothers and sisters. While honouring and celebrating our Australianness, let’s also acknowledge and reflect on the history that accompanies that and how we might participate in positive acts of reconciliation. So runs the sub-title of a stunning Aboriginal Art exhibition that is now on tour from the National Museum of Australia. Of course, the Canning Stock Route has had its dominant “whitefella” story told many times. We claim it as the toughest, remotest and (at 1850km) longest historic stock route in the world. Around the 1900s, cattlemen in the East Kimberley ranges sought an effective and competitive means of getting their stock to market. A direct route through the desert to Wiluna was deemed to be both possible and desirable. Conveniently spaced water sources were all that were needed, and the desert Aborigines knew where these were. Cruel methods of manipulation and coercion of Aborigines from the various language groups enabled wells to be sunk alongside the soaks and watercourses along the otherwise arid way. The full story (from “whitefella” perspective) can be explored here. The interactive art exhibition, Ngurra Kuju Walyja: One Country One People, allows us to hear the story as told by descendants of the Desert people, a diverse range of language groups that retain the custodianship of the pre stock route boundaries, stories, songs and culture that have helped them retain their identity and replicate it in art form. The stories are fascinating as the now disused stock route serves another purpose in binding these communities together while they continue to find and assert anew their place in 21st century Australia. The exhibition is not a “black arm-band” approach to history (to coin a phrase introduced by a former prime minister), but a frank and open exercise in ensuring all voices are heard and that all perspectives are seen, thus affording a total picture rather than enabling us to continue to accept a partial telling as the whole. Apart from tragedy and loss, the stories include humour and appreciation stemming from encounters with the kartiya (n0n-Aborigines). Such exhibitions go a long way to promoting mutual respect. If you get the chance, go and see!